Ooyala has collaborated with Avid® to integrate the new Flex Media Platform into Avid MediaCentral®. The new Flex Media Platform now provides comprehensive, fully integrated media logistics functionality. With this new integration, Ooyala and Avid now offer a best-of-breed solution to get content to consumers seamlessly, rapidly and in a manner that is truly streamlined to maximize ROI. Managing video assets is a common challenge for many media companies that handle large amounts of content yet lack efficient metadata capabilities. Ooyala, a leading provider of software and services that simplify the complexity of producing, streaming and monetizing video, solves this challenge with the Flex Media Platform. It is an open and extensible video production, delivery and content-supply-chain-optimization platform that simplifies and streamlines the process of managing, curating, orchestrating, publishing, measuring and monetizing video content. 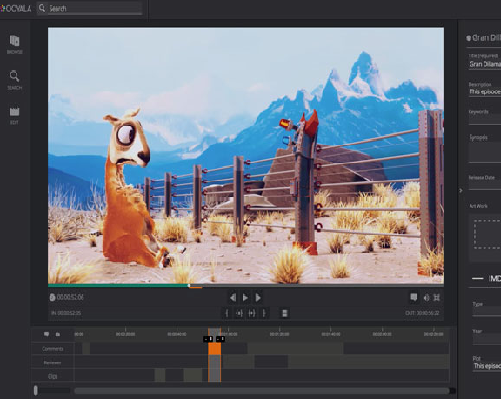 Among other features, the platform can automate the assignment and management of metadata across complex, fast-growing inventories of video assets. The integration empowers customers with advanced metadata modelling using metadata aggregated from a variety of sources. Assets can be seamlessly transferred from cloud-based storage into existing Avid production environments. Avid, Interplay, and Media Composer are trademarks or registered trademarks of Avid Technology, Inc. or its subsidiaries in the United States and/or other countries. The Interplay name is used with the permission of the Interplay Entertainment Corp. which bears no responsibility for Avid products.